Rollout’s is an advanced feature management solution that gives engineering and product teams feature level control, post-deployment. It's the most effective way to roll out new features to the right audience while protecting customers from failure and improving KPI’s. Rollout vision is to personalize feature delivery based on feature stability, target audience, business needs & performance, essentially making software adaptive. 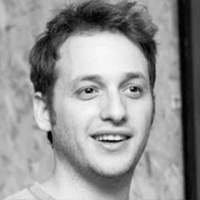 As co-founder and CEO of Rollout.io, Erez Rusovsky is both an entrepreneur and a technical leader.Prior to Rollout, Erez spent several years at Intel where he was responsible for developing and optimizing monitoring tools for enterprise-scale Linux environments.